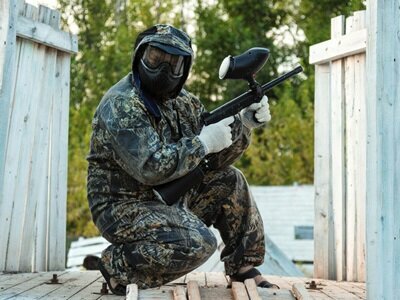 One of the best paintball markers out there are made by Tippmann as they are among the big names in the wide world of paintball game. Supreme quality is undoubtedly something they’re famous for. As you can see, the design is clearly intended to both look and feel like military style firearm. This model features an under-barrel C02 air system along with Picatinny rail that is intended for mounting attachments. This is the 2nd generation production and the Tippmann team made sure to improve several issues that its predecessor had and they also boosted the overall design. The TiPX is a semi-automatic and magazine-fed marker and basically makes you feel like you are holding a real handgun when you handle it. You won’t find any other paintball gun on the market with this aesthetic appeal. This unit provides a lightweight and compact design, ideal for tactical back-up or marking solo targets. With the TiPX, the Tippmann focuses primarily on maximum-efficiency at low-cost. The body is designed to make maintenance extremely easily as you will have easy access to the marker’s internal mechanisms. The overall structure is designed of lightweight and high-impact polymer. In other words, this unit is extremely reliable, light and is ideal for those who want an efficient side-arm rather than carrying around a cumbersome primary gun. The basic operation is rather simple. Both beginners and seasoned paintballers will find it extremely easy and comfortable to use. In terms of performance, the semi-automatic feature will fire from an open bolt. That way the pistol’s blow-forward mechanism will reduce recoil. With the spring loaded Tru-Feed magazines, the spring will instantly push the paintball right into the pistol’s compartment. Once the marker loads the CO2 cartridges, it will puncture once you squeeze the trigger. You need to keep in mind that once you pull the trigger for the first time, it won’t fire immediately, second pull will fire the first ball. As I did mention above, the TiPX includes 2 spring-loaded Tru-Feed magazines and each of them will hold 7 rounds each. Even though this might appear to be minimal down-grade from the earlier 8-round magazine versions, the 7-round Tru-Feed magazines are supposed to improve the mis-feeding issue that was included with a floundered magazine. To tackle this issue, the magazines offer clear ammo windows along the sides. That way, you will be sure to know if the magazine is fully-loaded or not. Just like a real handgun, you will insert the magazines into the bottom of the pistols’ grip and with just a press of button, you can release the magazine. 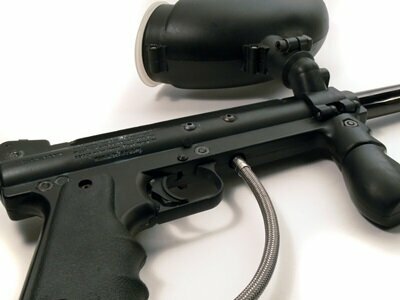 Different from other paintball guns that house their CO2 in the magazine, the TiPX does not. The reason for that is that the gun feels much more balanced and less bulky. With more balanced marker, you will enjoy better grip and easily operate it with just one hand if you need to. So, the CO2 are housed in a chamber below the marker’s barrel instead. The barrel is sealed with a quarter-turn cap and this quarter-cap will twist easily to allow quick removal and replacement. Current owners are praising this marker for how easy it is to use and they basically call it the best side arm on the market. 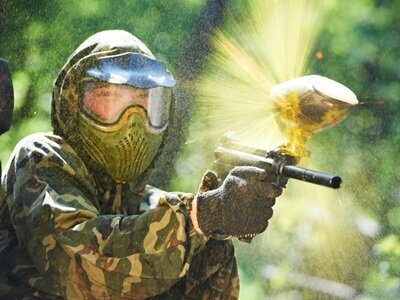 More experienced paintball players like to play with 2 pistols strapped on both sides to fire with both hands if needed. The aluminum trigger is durable and fires at a consistent rate without any delays, exactly like a reliable marker should perform. Therefore, this pistol is perfect for speedball games. You don’t need to be concerned about purchasing extra barrels because this TiPX is basically precise in itself. With the compact design, it slides effortlessly inside its holster and you can rely on it to stay there until needed. Those who own this pistol constantly comment on how flexible and mobile this pistol is. With regards to reliability, the TiPX is extremely accurate. Of course, accuracy holds in in hand with the quality of the paintballs that you load your gun with. If you want to maximize the accuracy, you should invest in good quality paintballs and you should buy as close to .68 caliber size as you can. If you don’t, the paintball will just bounce in the barrel after your fire and limit your accuracy. There is a velocity-adjuster that you will find at the back of the receiver and next to it you will find a circular indent near it. This will allow you to create/drill a hole in order to apply a remote line adapter to use to make your gun more efficient. By drilling a hole, you won’t have to change the CO2 canisters after every 14 rounds. At the top of the receiver you’ll find a small peek hole to verify that ammunition is loaded in to the chamber or to see if you are out of ammo. It is close to impossible to find any negative review of this marker. 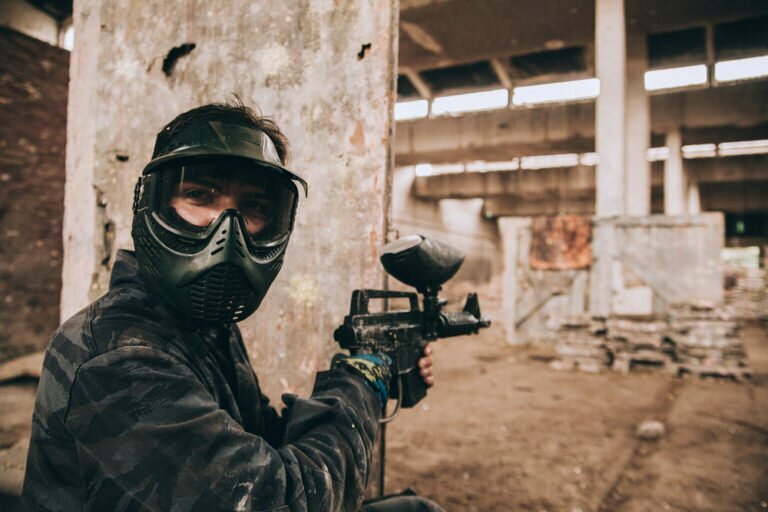 However, one user did comment that once he was shooting the last round, the 7th paintball, then the pressure release valve kicked-in and all the air leaked out. 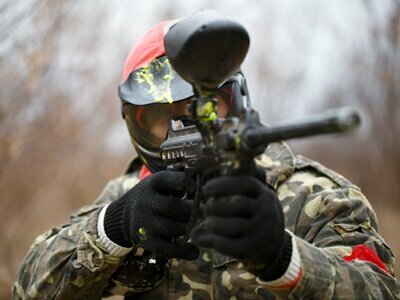 To sum it up, the weight and accuracy are what current owners love about this paintball marker. More experienced players purchase this unit as a reliable sidearm. 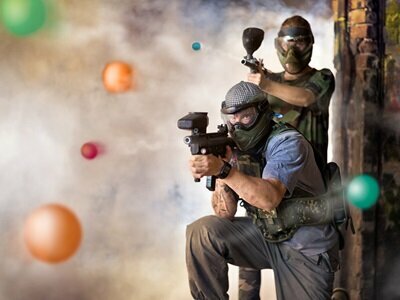 There are many benefits of using such a small paintball gun on the field and the TiPX will offer you more speed and maneuverability during game-play. Another selling point is that the magazines cost less than other similar markers. Also, the compact design and the stylish military look just make it so easy to handle and operate. Other brands out there are all about first strike ability but the TiPX takes the step further and includes qualities and improvements along side first-strike capabilities. One of the top qualities of this marker, although it performs well on its own, is the ability to upgrade it to step-up your game. Few upgrades will give you an edge over your opponents. 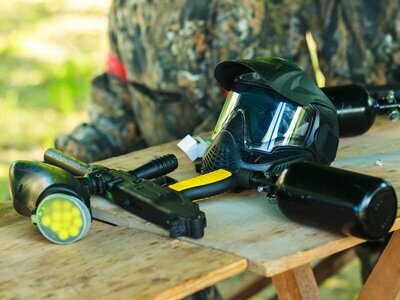 With this accurate, light and reliable gun, you are in the paintball-game to make a difference! Having said that, I can honestly say that the Tippmann TiPX is definitely something you should look into.